ISLAMABAD: The failure of the power ministry to efficiently utilise new power plants developed under the leadership of the previous government has been profound in causing tremendous losses to the national exchequer and subsequently, the common taxpaying citizens of the country. Despite the construction of new power plants, instead of a 57 per cent increase in electricity supply, only a 12 per cent increase has been achieved in the supply of electricity. Similarly, the power authorities in effect, are collecting funds to the tune of Rs210 billion from power consumers for a stated power supply of 28,000MW, while the actual power being supplied in 21,000MW. National Electric Power Regulatory Authority (NEPRA) in its State of the Industry Report 2017 has disclosed the performance of new power plants installed in PML-N government. These power plants are causing additional burden on masses and national exchequer as Rs130 billion is to be annually paid to the closed power plants. At present, the installed capacity of the power plants has reached 28,000MW, however, blackouts are still rampant throughout the country because the transmission and distribution system has failed to supply the required electricity to power consumers. NEPRA’s report said that an analysis only for the capacity payments corresponding to generation facilities in NTDC system shows that such payments which were around Rs280 billion in the FY 2015-16 and reached more than Rs350 billion in the FY 2016-17, would be close to Rs490 billion in the FY 2017-18. A preliminary working in relation to the energy sold, after addition of new power generation plants, shows that the capacity cost per unit of energy sold which was slightly higher than Rs3.4 in the FY2015-16 would be around Rs4.1 in the FY 2016-17; an increase of Rs0.7/unit corresponding to a 6.2 per cent growth in energy sold in the FY 2016-17 over the FY 2015-16. For the first six months of the FY 2017-18, a growth in energy sold of more than 12.31 per cent over the same period of the FY 2016-17 has been recorded. It is however noted that this growth rate would not be enough to keep the capacity cost component at the same level i.e. Rs4.1, as the expected cost components would be close to Rs.5/unit. In order to keep the capacity cost component at the FY 2016-17 level, the energy sold would be required to increase by at least 30 per cent from the FY 2017-18 to the FY 2018-19. Further analysis shows that in order to keep the capacity payment per unit of energy sold, at the level of the FY 2015-16, at least 57 per cent increase in energy sold would be required in the FY 2018- 19 over the FY 2017-18. 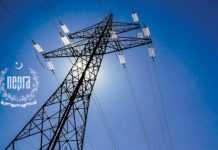 It is understood that the suppressed demand would also be connected to the system as the electricity is made available. However, in all likelihood, an increase of more than 30 per cent will not be achievable. Various factors including the presence of high loss feeders in the foreseeable future would not let the energy sold, to be increased beyond 9 per cent to 10 per cent annually over the coming years. With such level of increases in energy sold, the capacity payment close to Rs.5/unit of energy sold may be expected making the overall energy cost expensive, necessitating increased sustained efforts for cheaper fuels to keep overall tariff at affordable levels. The report further points out the overall performance of the Jamshoro Power Company Limited, Central Power Generation Company Limited, Northern Power Generation Company Limited, and Lakhra Power Generation Company Limited (GENCO-I,II,III,IV). NEPRA in the report said that as a whole, GENCOs continued to operate at very low efficiencies than their design values, mostly on expensive furnace oil. It is also noted that these power plants are also not being operated according to prudent utility practices. GENCOs have low utilization factors and have also been operated in standby mode, where they incur costs without contributing energy to the National Grid, as they are ranked very low in the dispatch merit order. It is noted that during the FY 2016-17 about Rs.39 billion was paid to GENCOs on account of capacity payments, while around Rs.156 billion was charged on account of energy payments. The Ministry of Energy (Power Division) is therefore urged to phase out these facilities in view of their inefficient and uneconomic role in the sector. Due to their high operating costs, some of these plants may be totally closed down even if their capacity costs are continued to be paid, to minimize economic loss to the sector. NEPRA also disclosed that over the years the transmission and distribution losses could not be curtailed by the DISCOs and having taken divergent and contradictory positions about losses, almost all the DISCOs have now proposed new and higher loss levels than earlier requested. It is a matter of concern that DISCOs could not take such measures to bring improvement in this critical area. Ministry of Energy (Power Division) is also required to assign due priority to this major impediment in sustainability of the power sector in Pakistan. It may be noted that all efforts to bring efficiency in the sector would be defeated if the DISCOs do not improve their Transmission and Distribution (T&D) loss position, said NEPRA. NEPRA has said that it allowed huge investment funds every year to DIsCOs so that new and critical projects could be initiated and completed on time and had been asking the power division to address this critical issue. “It is, however, observed that Discos’ performance in this area remained unsatisfactory. 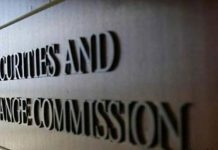 Except for one or two companies, the others have remained oblivious to gravity of the matter,” it said. NEPRA pointed out that 39 per cent transformers at 500/220 kV level were loaded above 80 per cent of their rated capacity on June, 2017. At 220/132 kV level, (55 per cent) transformers are overloaded. In the distribution sector, at the end of June 2017, about 37 per cent of high capacity transformers (power transformers) were over-loaded (above 80 per cent of their capacity). “With more supply available now, the system is expected to also meet the suppressed demand, which was not connected to the network earlier. 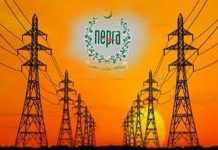 Therefore a routine historical pace of improvement and refurbishment in network would not ensure the provision of a reliable electricity supply to consumers,” said NEPRA. In order to lower the overall cost of power sector, it is imperative that plant and machinery in generation, transmission and distribution sectors are acquired at competitive prices, prevalent in regional countries like India. Over the years, local manufacturing of plant and machinery has remained a low priority for the policy makers. It is however stressed that in order to have affordable consumer-end tariffs, local manufacturing of all major equipment used in power sector be undertaken. 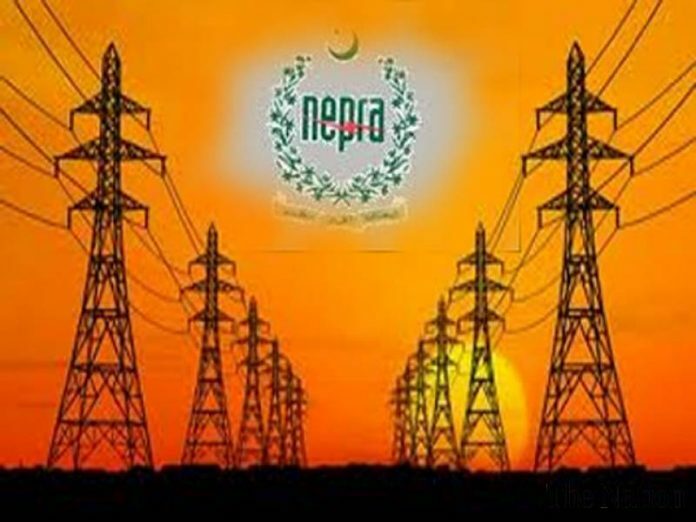 Steps in this respect be initiated forthwith, said NEPRA.